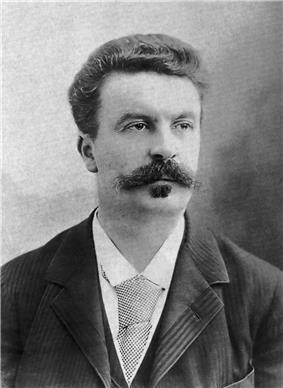 Henri René Albert Guy de Maupassant (French: ; 5 August 1850 – 6 July 1893) was a popular French writer, considered one of the fathers of the modern short story and one of the form's finest exponents. 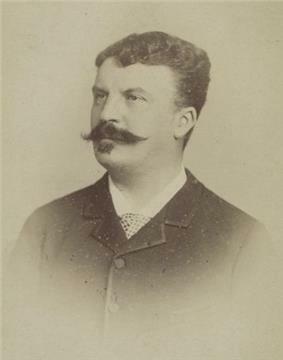 Henri-René-Albert-Guy de Maupassant was born on August 5, 1850 at the Château de Miromesnil(Castle Miromesnil, near Dieppe in the Seine-Inférieure (now Seine-Maritime) department in France. He was the first son of Laure Le Poittevin and Gustave de Maupassant, both from prosperous bourgeois families. When Maupassant was 11 and his brother Hervé was five, his mother, an independent-minded woman, risked social disgrace to obtain a legal separation from her husband. After the separation, Laure Le Poittevin kept her two sons. 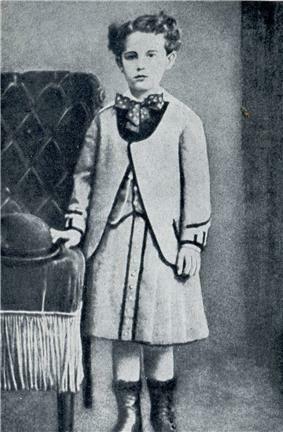 With the father’s absence, Maupassant’s mother became the most influential figure in the young boy's life. She was an exceptionally well read woman and was very fond of classical literature, particularly Shakespeare. Until the age of thirteen, Guy happily lived with his mother, at Étretat, in the Villa des Verguies, where, between the sea and the luxuriant countryside, he grew very fond of fishing and outdoor activities. At age thirteen, his mother next placed her two sons as day boarders in a private school, the Institution Leroy-Petit, in Rouen - the Institution Robineau of Maupassant's story La Question du Latin - for classical studies. From his early education he retained a marked hostility to religion, and to judge from verses composed around this time he deplored the ecclesiastical atmosphere, its ritual and discipline. Finding the place to be unbearable, he finally got himself expelled in his next-to-last year. Gustave Flaubert took him under his protection and acted as a kind of literary guardian to him, guiding his debut in journalism and literature. At Flaubert's home he met Émile Zola and the Russian novelist Ivan Turgenev, as well as many of the proponents of the realist and naturalist schools. He wrote and played himself in a comedy in 1875 (with the benediction of Flaubert), "À la feuille de rose, maison turque". Maupassant was one of a fair number of 19th-century Parisians, including Charles Gounod and Charles Garnier, who did not care for the Eiffel Tower. He often ate lunch in the restaurant at its base, not out of preference for the food but because it was only there that he could avoid seeing its otherwise unavoidable profile. He and forty-six other Parisian literary and artistic notables attached their names to an elaborately irate letter of protest against the tower's construction, written to the Minister of Public Works. Guy De Maupassant penned his own epitaph: "I have coveted everything and taken pleasure in nothing." He is buried in Section 26 of the Montparnasse Cemetery, Paris. Maupassant is considered one of the fathers of the modern short story. He delighted in clever plotting, and served as a model for Somerset Maugham and O. Henry in this respect. His stories about expensive jewellery ("The Necklace", "La parure") are imitated with a twist by Maugham ("Mr Know-All", "A String of Beads") and Henry James ("Paste"). The supernatural in Maupassant, however, is often implicitly a symptom of the protagonists' troubled minds; Maupassant was fascinated by the burgeoning discipline of psychiatry, and attended the public lectures of Jean-Martin Charcot between 1885 and 1886. This interest is reflected in his fiction. ..
Maupassant is notable as the subject of one of Leo Tolstoy's essays on art: The Works of Guy de Maupassant. Even Gene Roddenberry was influenced by Maupassant's philosophies. When creating The Questor Tapes, he had envisioned the android character of Questor to be well read, which included Maupassant's theory that "the human female will open her mind to a man to whom she has opened OTHER channels of communications." This influenced an early draft of the TV movie's script in which the android Questor is trying to obtain information from a woman who knew his creator, but was reluctant to give him her information. He subsequently romanced the woman, copulated with her, and eventually got the information he sought. Unfortunately, because of complaints from NBC executives about a "robot" making love to a woman, this particular part of the script was never filmed. Gene would later succeed in having an android and a woman make love when the character of Data is seduced by crewmate Tasha Yar in the Star Trek: The Next Generation episode The Naked Now. ^ de Maupassant, Guy (1984). Le Horla et autres contes d'angoisse (in French) (2006 ed.). Paris: Flammarion. p. 233. ^ "Criticism of Eiffel Tower"The Tower of Babel - . ^ Harriss, Joseph. The Tallest Tower. Unlimited Publishing LLC, 2004. ISBN 1-58832-102-9. Pages 15, 16.